What is biophilic design in architecture? Dear EarthTalk: What is biophilic design in architecture and where can I see it implemented? 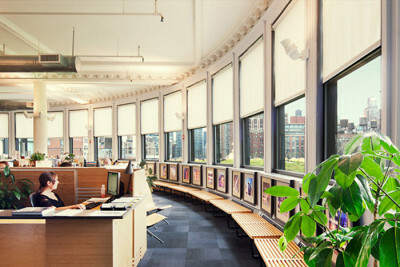 Cook+Fox Architects’ office in New York City incorporates many of the attributes of biophilic design referenced by Stephen R. Kellert. Recent biophilic design can be seen in structures like Yale University’s Kroon Hall, the Bank of America Tower and the Cook+Fox Architects office in New York City, Dell Children’s Hospital in Austin, Texas, and elsewhere. Kellert says one of the most satisfying projects he worked on last year was an elderly health care complex in Indiana. By incorporating biophilic design into the complex, it created a less alienating, more positive, therapeutic environment for people with memory loss. Connections to nature through imagery and interior designs have proven effective in hospital environments, it only makes sense to treat the patients before they get there. 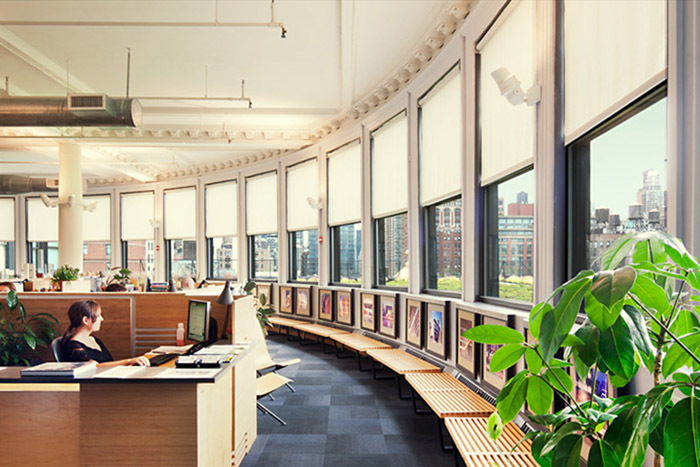 Biophilic design = preventative medicine. Great point Mark. I’ve been thinking about the power of healing through architecture/aesthetics for a long time and I have always wondered why so many hospitals are so poorly designed. The general public deserves better design, especially underserved communities.